This year we are super excited to be adding a Stoby’s Pancake Breakfast to our list of events. We will be donating 75% of proceeds to the family of Greyson Gilliam and retaining the other 25% of proceeds to help families throughout the year. Here is the registration form for mail-in registrations. This form must be postmarked by April 1, 2018 to receive the early registration price. Braxton Dale Shanek was born on July 22, 2017 at Conway Regional Medical Center. He is almost six months old. Braxton’s parents are Dale and Mallory Shanek. Braxton has no siblings since he is Dale and Mallory’s first child. Braxton was born full term with no pregnancy complications. At birth, he was diagnosed with meconium aspiration. While being bagged for the meconium aspiration a hole was blown in one lung. This caused all of his organs to be pushed to the side. Braxton was stabilized and rushed to Arkansas Children’s Hospital. Once at ACH, he was placed on an ECMO machine. An ECMO machine is life support for children. Braxton remained on life support for three and one half days. Braxton spent six and one half weeks in NICU and then moved to ITU where he stayed for 15 weeks. 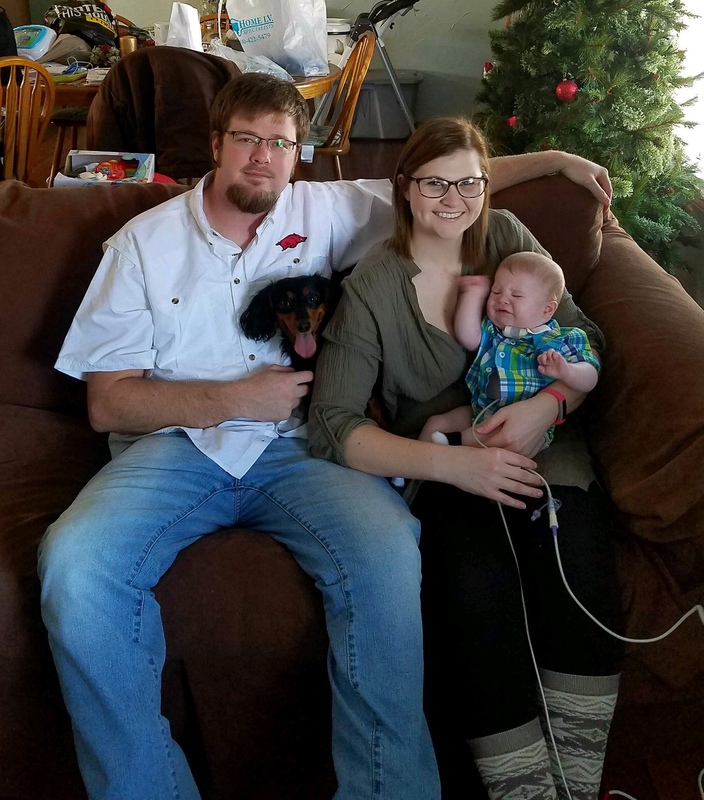 During his five month stay at ACH, Braxton was intubated four times and had to be reintubated due to breathing complications. His throat was scoped two times before it was determined that he would need to have a tracheostomy and a G-tube inserted. Braxton takes nothing by mouth.The ENT doctor that scoped his throat said when his throat collapses the scar tissue sticks together and does not reopen and then ends up healing together resulting in his airway closing. The ENT placed a stint in for seven weeks to try and open the airway. The stink was successful. Also during this time, it was determined that Braxton is blind. After seeing a corneal specialist at ACH he was diagnosed with a rare form of blindness. His corneas don’t work properly. Braxton is only able to see light. It took three months to have Braxton weaned off of the ventilator and two months to be weaned off of morphine and methadone. stay because two weeks later he is now in Pittsburgh, PA for a corneal eye transplant. Braxton now has two corneal transplants and he and his family will have to remain in Pittsburgh for six to eight weeks. Hopefully his body will accept the new corneas. The doctor is still unsure how well he will be able to see. Braxton will have to have his trach for two to four years before it can be removed. As the doctor explained to Dale and Mallory, “This is going to be a marathon, not a sprint”. Dale works for Precision Pipeline. Mallory had to quit her job as a dietician to stay home with Braxton. Braxton has to have two caregivers. Mallory’s mom, Sherri Selman, is Braxton’s other caregiver since Dale works. 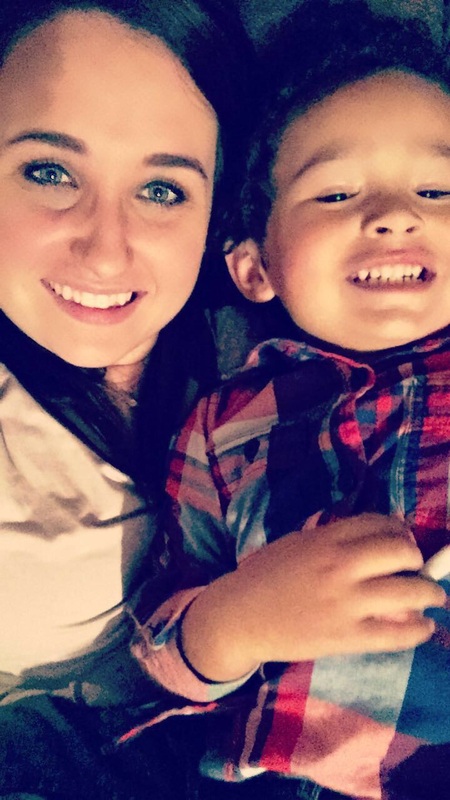 Ethan Rey Gutierrez is the 3 year old son of Brandon Gutierrez of Dardanelle and Krystal Rhinehart of Dardanelle. Ethan has one little brother named Jeremiah(4months) by his father Brandon, and stepmother Marily. Ethan was having some leg pain, which we all thought was growing pains because he only mention that his leg had hurt a couple of times and then it was never spoken of again. A couple of weeks went by and I had noticed that he was getting tired quicker, he had bags under his eyes, he was getting sick more often and last but not least his leg pain was back. We took him to the doctor. I told her about everything that had been going on and she told me that she was going to run some blood tests on him. The test results was something that parents never wanted to hear. They immediately sent us to Children’s Hospital in Little Rock where he was later diagnosed with Acute Lymphoblastic Leukemia on January 17th 2018. Now accepting nominations for the 2018 River Valley Superhero 5K beneficiary!! Early registration has passed but you can still register. If you register by Monday, May 8th, you will still be guaranteed a t-shirt!